Well, it was bound to happen, wasn’t it? In the past few weeks, I’ve shared that our students achieve more college credits and gain more confidence in their abilities to do college level work when they are actually “in the room where it happens” on a college campus taking those college courses. And, I’ve shared that we are at a tipping point with more than 50% of our current high school students taking college and career courses. So, buying a college campus seems like a natural next step. Right? Our great college partner, Ivy Tech Community College, recently vacated this property (pictured above) and moved six blocks west. Given our need for more space (we have more than 500 students on our waiting list), and we prefer space close to our college partners, we sought to purchase this property. 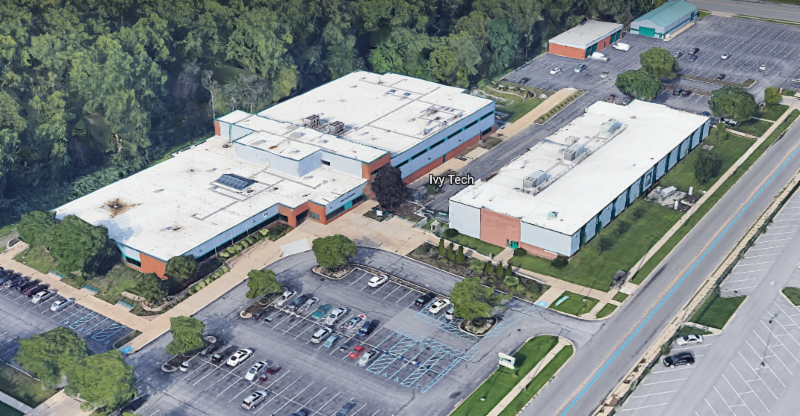 Yesterday, the Board of Trustees for Ivy Tech Community College accepted our offer to purchase the property. This property is ideally located between the new Ivy Tech and Indiana University campus as well as the Gary Career Center. Our students take advantage of all three of these opportunities. Some take liberal arts courses such as math, science, English, foreign languages, psychology and other courses that add up to an Associate Degree and/or transfer to a four-year degree, while others take career courses such as auto mechanics, welding, and others that add up to a career certification. With this move, we will cut down on the lost time we experience transporting our students from our current campus and we will be able to grow our enrollment to serve more students in the NW Indiana region. A public announcement will be forthcoming but I wanted to share the news with my “insider” friends. That’s you! P.S: This is the transformative news I couldn’t tell you last week. Next week, get ready for more great news!